The County of Morris purchases privately owned land as County Open Space in order to preserve undeveloped lands, protect water quality, and conserve natural resources throughout the county. Once property is acquired as Open Space, the land is restricted from future development and preserved for recreational activities. 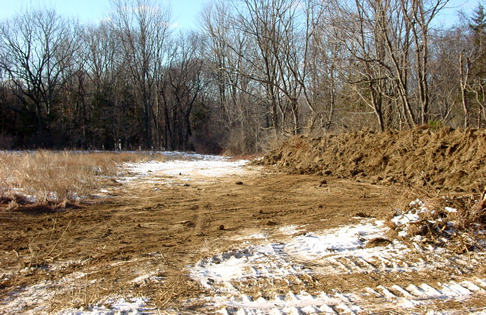 The MCMUA receives a portion of Morris County Open Space contributions to purchase and oversee open space acquisitions with water quality and groundwater recharge characteristics in mind. 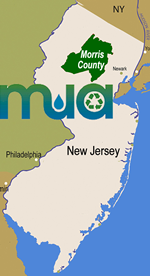 The MCMUA has purchased over 2,500 acres and has contributed over 13 million dollars for protecting Morris County’s water supply. The MCMUA makes it a priority to preserve land that is located in wellhead protection, prime groundwater recharge, and headwater areas throughout the county. The MCMUA also considers a variety of environmental factors when purchasing property such as property size, wetlands, hydrology, threatened and endangered species, vegetation type, proximity to other open space acquisitions, and previous site land use types, to name a few. In addition to purchasing County Open Space, the MCMUA also stewards several properties in order to improve the overall environmental benefits of the property. These properties include both wellfields (Alamatong and Flanders) in addition to several smaller parcels throughout the county. 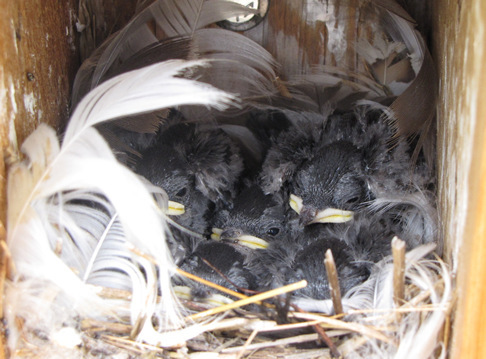 Responsibilities of the MCMUA staff include removing nuisance species, re-establishing native plant communities, installing bird boxes, and doing routine maintenance (e.g., mowing and monitoring). 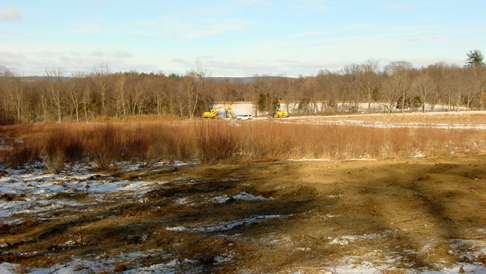 Winter 2009/2010 (below) - In order to enhance stormwater infiltration, groundwater recharge, and plant biodiversity at the Alamatong Wellfield, MCMUA staff started removing invasive species from Emmerich Field, located on Park Ave., Randolph Twp. Over 10 acres of nuisance vegetation were eradicated from the field using a variety of machinery and techniques. 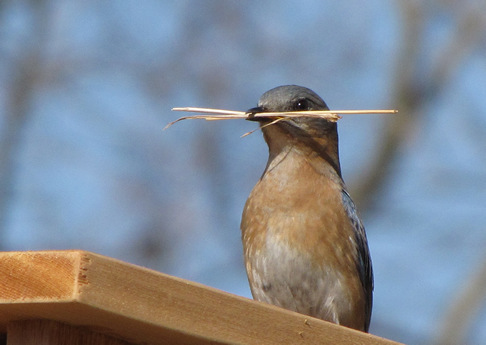 Once eradicating activities were complete, the disturbed areas were sown with native warm season grass seed, which promotes native plant communities and supports a variety of wildlife and grassland bird species. 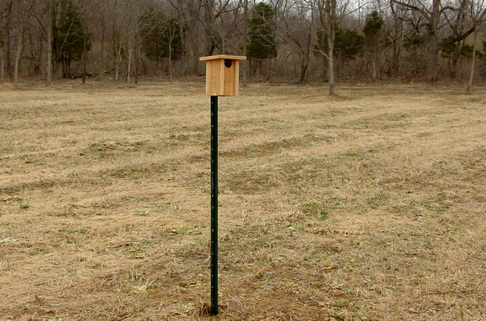 Spring 2010 (below) - Eight bird boxes were installed at Emmerich and Stull fields within the Alamatong Wellfield. 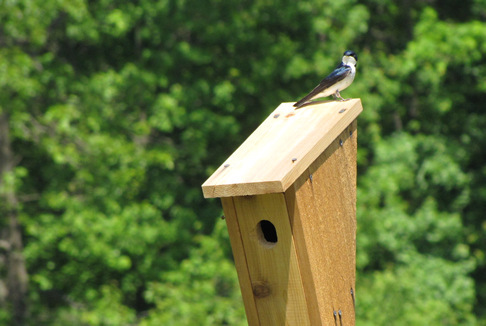 Students at the Morris County School of Technology built the bird boxes, which target mative cavity-nesting bird species. 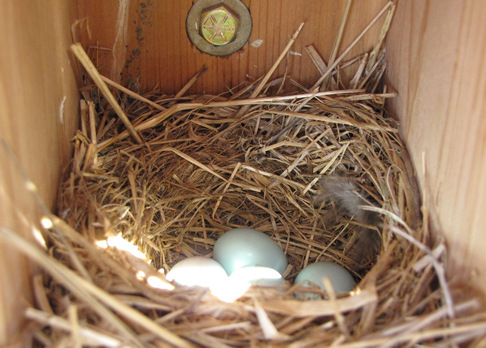 The bird boxes were installed at the fields in the end of March, just in time for the 2010 nesting season. Summer 2010 (below) - After the bird boxes were installed, monitoring began in order to record the condition of the boxes and bird species. 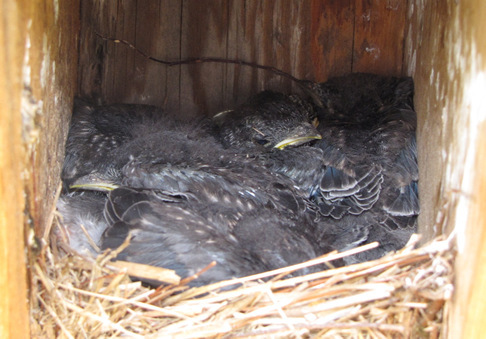 MCMUA staff happily reported all eight bird boxes were occupied within several weeks of installation. 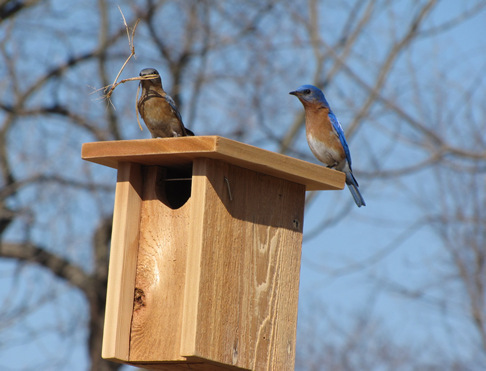 All boxes were occupied with native bird species with eastern bluebirds occupying two of the boxes and tree swallows occupying the remaining six. 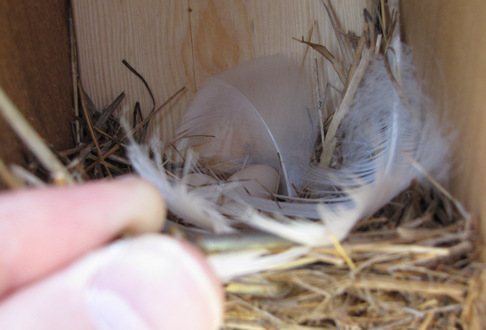 MCMUA staff noticed all boxes having a clutch of eggs, which successfully hatched and later fledged. Fall 2010 - Continued maintenance mowing, invasive specie removal, and monitoring is anticipated for the field in the upcoming months.